Critically acclaimed string ensemble The Callino Quartet launch their new CD, a recording of Haydn’s The Seven Last Words of our Saviour on the Cross, with a tour which begins in Glossop. Tickets are free and available on the door. We will be accepting donations (cash or cheque) after the concert to reflect what audience members felt the concert was worth. Reserved seating is available for Friends of Glossop Music Festival who notify Ron Astles (see below) of their seating requirements before 10 April. Unreserved seating (some with restricted view) is available in the rest of the church on a first-come, first-served basis. Doors open 18.00. For details of how to become a Friend please click here. 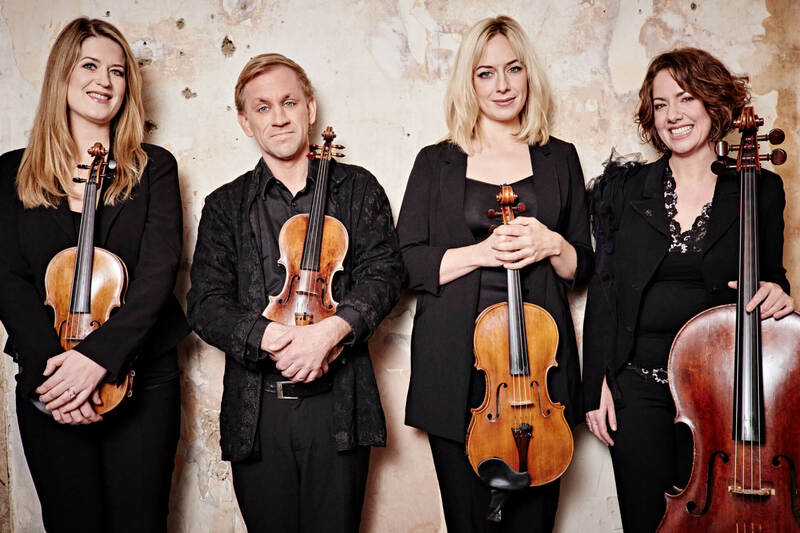 Since its formation at the West Cork Chamber Music Festival in 1999, the Callino Quartet has been impressing international audiences and critics alike with their bold, imaginative and sensitive performances. They have cultivated a challenging and eclectic repertoire, performing and collaborating with many diverse musicians including the Belcea string quartet, double bassist Edgar Meyer, pianist Barry Douglas, singer Patricia Rozario, rock band Arcade Fire, Bell Orchestre and jazz musicians John Abercrombie and Sophie Dunér. They are passionately committed to contemporary music and have worked with composers Edgar Meyer, Peteris Vasks, Aleksandra Vrebalov, Alexander Knaifel, Franghiz Ali-Zadeh, Ian Wilson, Raymond Deane, Ronan Guilfoyle and Ben Dwyer closely on their works for string quartet. The quartet’s first commercially successful CD of the complete quartets by Ian Wilson was followed by a recent Louth Contemporary Music Society recording of music by Arvo Pärt, Valentin Silvestrov, John Tavener and Alexander Knaifel.